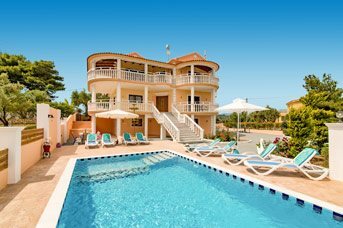 Located on the North East Coast of the island, just 5 miles from Zante (Zakynthos) Town, Tsilivi has expanded over recent years to become a popular family resort. There’s plenty going on with a great choice of shops, bars and restaurants, a beautiful sandy beach as well as its very own waterpark. 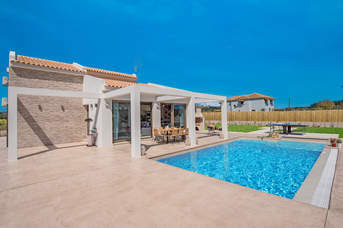 And whilst it’s grown in size, it still retains its Greek charm and is a great choice for couples and families alike.Located on the North East Coast of the island, just 5 miles from Zante (Zakynthos) Town, Tsilivi has expanded over recent years to become a popular family resort. There’s plenty going on with a great choice of shops, bars and restaurants, a beautiful sandy beach as well as its very own waterpark. 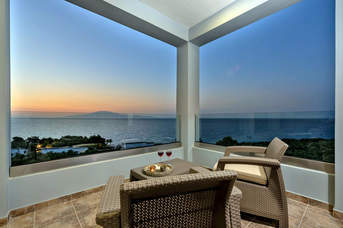 And whilst it’s grown in size, it still retains its Greek charm and is a great choice for couples and families alike. You’re never far away from a mini market in Tsilivi, with a plenty of options dotted along the main road running through the resort. There’s also a couple of larger supermarkets within a short drive providing a wider choice, for those all important BBQ nights in! 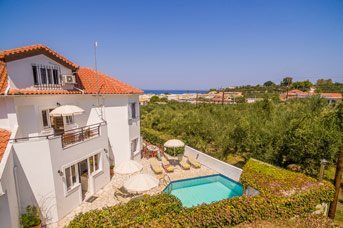 For the shopaholics, Alexandra Roma – the main street in in Zante Town – is the place to be, which is lined with fashion and jewellery stores, and is only a short drive away. The nightlife in Tsilivi is relatively low key but there is a fantastic choice of bars and restaurants to choose from, with something to suit all tastes. Greek tavernas are in plentiful supply and there’s international options too, including Italian and Mexican. For your pre-dinner drinks or post-dinner cocktails, there’s a variety of bars to choose from, ranging from chilled out venues to livelier karaoke bars. 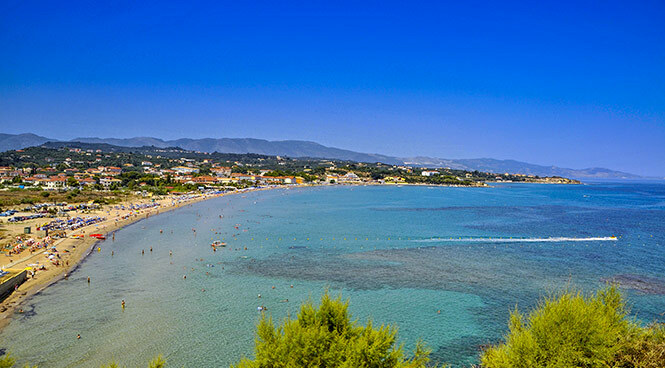 Let’s not forget Zante Town too, which is within a short drive. This charming seaside town comes to life at night and makes the perfect place for an evening stroll alongside the waterside. There’s a wide choice of bars and restaurants in the town itself or you might head to Bochali Hill and enjoy a drink overlooking the twinkling lights of the town, below. The Blue Flag beach in Tsilivi, stretches for over 1 mile, with tavernas dotted all the way along the seafront. Its soft sands and shallow waters make it perfect for families and there’s also a water sports centre for those feeling a little more active. If you fancy venturing outside of Tsilivi, there’s a fantastic choice of beaches running along the coast including Bouka, Gaiadros, Amoudi, Alykanas and Alikes. Each offer something unique but all enjoy the same crystal clear waters and golden sands. Tsilivi is well-catered for families with plenty on offer including its very own water park! There’s also a fantastic fantasy-themed mini golf course, a 4-lane bowling alley as well as a fun park with bouncy castles, face painting, a games arcade and much more. Some bars also offer small play areas for young children. The choice is yours but you can rest assured that there is something for everyone here. Zante is home to the Caretta caretta loggerhead turtle, an endangered and protected species who nest on the beaches here between July and August. So be sure to venture to Laganas Beach, where you’ll have the best chance of seeing them. Then there’s not forgetting Navagio Beach - better known as Smuggler's Cove – which can only be accessed by boat. That said, there's a fantastic viewpoint in the north of the island, where you can get some spectacular pictures of the sunken sandy cove and shipwreck.